Standard & Poor’s has made a major contribution to the financial literacy of investors and their ability to judge which strategy (active or passive) is more likely to help them achieve their most important financial goals, through regular publication of its S&P Indices Versus Active (SPIVA) persistence scorecards. In addition to its scorecards, S&P also produces webinars. In a recent offering, it provided noteworthy evidence dispelling some of the more persistent myths that Wall Street and a lot of the financial media want and need you to believe, because while active management is the loser’s game for investors, it’s the winner’s game for them. By loser’s game, I mean that while it’s possible to win, the odds of doing so are so poor that you shouldn’t try (unless you attach high entertainment value on playing). Good examples of a loser’s game include lottery tickets and the slot machines or roulette wheel at a Las Vegas casino. Let’s look at some of the evidence S&P presented in its webinar, beginning with the performances of actively managed funds. For the 10-year period ending in 2014, S&P found that after fees, the majority of actively managed funds in all major categories underperformed their respective benchmarks. For those familiar with the evidence, this shouldn’t come as any surprise. However, what may be surprising is that with the sole exception of the asset class of large value stocks, this held true even when considering gross, rather than net, returns. In other words, active funds underperformed even after their expense ratios were added back. Even in the asset class of large-cap value stocks, only a slim majority (53%) of actively managed funds beat their benchmarks, while just 41% did so – net of fees. This serves as pretty strong evidence that the markets are highly efficient in setting prices. It also shows the importance of considering the total costs of active management. With that in mind, let’s look at the total costs of active management. Russ Wermers is the author of the study Mutual Fund Performance: An Empirical Decomposition into Stock-Picking Talent, Style, Transactions Costs, and Expenses, which was published in the August 2000 issue of the Journal of Finance. 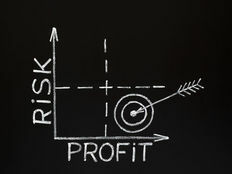 The study found that while the stocks active managers selected actually outperformed by 0.7% a year, unfortunately for investors, in this effort, mutual funds ran up total expenses of roughly 2.3% a year — a multiple of their expense ratios — resulting in fund underperformance of 1.6% a year. 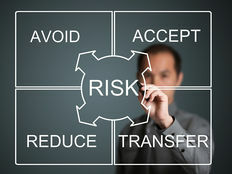 Other costs include trading costs – bid-offer spreads, market impact costs and commissions – as well as what is referred to as the “cost of cash.” While index funds always are fully invested, actively managed funds typically hold some percentage of their assets in cash, either because they are attempting to time the market or because they are waiting to find a good stock to buy. Wermers found that on average, the cost of cash for actively managed funds was 0.7%. And total trading costs easily can exceed 1%, especially for small-cap funds and emerging market funds. Plus, for taxable investors, the higher turnover of actively managed funds would add still another heavy burden to overcome. S&P also addressed the unfortunately widespread belief that active management has an advantage in less informationally efficient markets, such as those for small-cap stocks and high-yield bonds. It found that this, too, was just another myth. Over the 10 years ending December 31, 2014, less than 14% of actively managed small-cap funds – in growth, core or value – beat their respective benchmarks, and just 7% of actively managed high-yield funds did so. With stocks, this is looking only at pretax returns. Given that taxes often are the greatest expense for actively managed funds, even this dismal figure overstates their performances for taxable investors. Of course, there are actively managed funds that beat their benchmarks. However, the question is whether or not we can identify them in advance. One way to answer that question is to look for persistence of performance. The S&P researchers analyzed the performances of actively managed domestic equity funds ranked in the top quartile for two consecutive five-year periods. They found that at best, only 1% of multi-cap funds in the top quartile for the first five-year period managed to remain there for the second five-year period, which ended March 2015. And not a single one of the funds in the other categories – small-cap, mid-cap and large-cap – beat their benchmarks the second time around. The proverbial monkey throwing darts would be expected to do better than that. 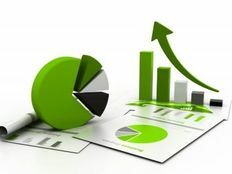 Academic research is converting alpha into beta (a systematic factor such as size, value, momentum and profitability) that can be accessed through low-cost, passively managed funds such as index mutual funds and ETFs. This eliminates sources of alpha that active managers can access. The number of “suckers at the poker table” who can be exploited has collapsed, with institutional investors controlling the vast majority of equity holdings and doing as much as 90% of the trading. The problem is the size of the sheep herd waiting to be sheared is persistently shrinking. The competition has increased not only in quality, but quantity. Sixty years ago, there were less than 100 mutual funds, and hedge funds were a nascent industry. Today, we have more than 8,000 mutual funds and 10,000 hedge funds. Twenty years ago, hedge funds controlled about $300 billion. Today, that figure is approaching 10 times that amount. The impact of these trends can be summarized in the following data. Twenty years ago, about 20% of actively managed funds generated statistically significant alphas. Today, that figure is down to about 2%. And that’s before considering the impact of taxes.